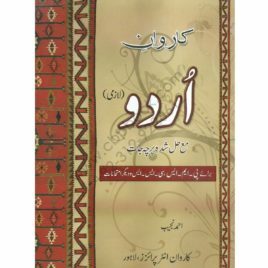 cbpbook.com offers jahangir worldtimes big book of fpsc solved papers buy online with best lowest price in Pakistan with fast shipping in all major cites of Pakistan including Karachi, Rawalpindi, Sialkot, Islamabad, Gujranwala, Hyderabad, Faisalabad, Quetta, Peshawar, Multan, Larkana, Lahore, Abbotabad, Sargodha, Sukkur and many more cities in Pakistan. PUBLICATION Dogar Brothers CONDITION new cbpbook.com offers pakistan affairs for css pms source book by dogar brothers buy online with best lowest price in Pakistan with fast shipping in all major cites of Pakistan including Karachi, Rawalpindi, Sialkot, Islamabad, Gujranwala, Hyderabad, Faisalabad, Quetta, Peshawar, Multan, Larkana, Lahore, Abbotabad, Sargodha, Sukkur and many more cities in Pakistan. NAME Caravan Essays on Pakistan Affairs According to Revised Scheme for CSS 2016 For CSS and Allied Competitive Examinations by M. Soban Chaudhry AUTHOR M. Soban Chaudhry PUBLICATION Caravan Book House CONDITION new cbpbook.com offers essays on pakistan affairs for css pms by caravan book house buy online with best lowest price in Pakistan with fast shipping in all major cites of Pakistan including Karachi, Rawalpindi, Sialkot, Islamabad, Gujranwala, Hyderabad, Faisalabad, Quetta, Peshawar, Multan, Larkana, Lahore, Abbotabad, Sargodha, Sukkur and many more cities in Pakistan.